No matter how much you say you don’t need another online video app for iOS, Squrl would surely flip your mind and you will realize how much you wanted it for long. Let us indulge into the features of the new app and find what makes it so desirable. 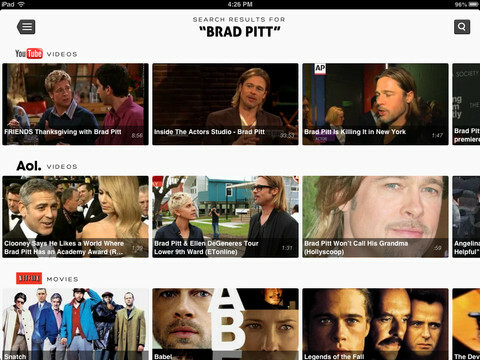 Squrl goes very well with its name, it is Video Discovery app that aids you in getting the best videos online. It pulls video links from across various trusted websites including YouTube, Vimeo, CNN, Hulu, Netflix, IGN, Funny or Die, TED, TMZ, Reddit and many more. You can also refine your search criteria by provided options like Fresh, What’s Hot and others. You could simply load Squrl and select your interests. There is no overhead of registration still you can receive video suggestions based on your liking. The Built-in search tool of Squrl is really powerful and will surely reveal your new interests. You can easily connect with your friends as the app provides integration with popular social networking websites like Facebook and Twitter, it also auto creates channels posted by your friends. It gives an extremely refined video browsing experience and you will definitely fall in love with it. Squrl has a very glossy elegant layout. You can search for various videos of your interest with the help of very well refined search engine provided. 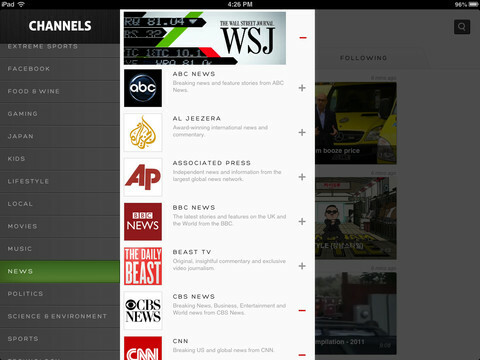 The video app organizes your videos from various sources like YouTube, NetFlix or CNBC and many more sources. The video experience has been greatly enhanced by Squrl and it is a definite threat to all its competitors out in the market. I was greatly amazed by the amount of awesome features that are being offered by Squrl Video Discover. It is sure one of those apps in app store upon which we do not come across every day. And you would be glad to know that it costs just 0.00$. It has received quite enthusiastic reviews form the users online. You could check them yourself at the app store and by using it would feel like giving it a five star rating yourself. It is compatible with iOS 4.3 or later. It could be used in devices iPhone , iPad and iTouch. You can download the app here. Squrl adds live television to what is already a deeply personalized app experience. People choose their favorite channels from a selection of Comedy, Entertainment, Technology and YouTube-themed playlists. They then engage with Squrl's recommendation engine, which uses a social intelligence algorithm to predict what videos they might want to watch next. The personalization has paid off, with Squrl boasting a phenomenally high average session time of over one hour. Users who come back to Squrl ask it for recommendations after an initial learning experience with an average 50% longer session time on those follow up visits. Squrl return visitor rate ranks among the top tier across all Entertainment apps showing it is a compelling app for iOS fans. Founded in 2011 and based in San Francisco, Squrl is a top rated mobile application available for iOS devices including the iPhone, iPad, iPod Touch and Apple TV via Airplay. Users who watch videos on Squrl spend over an hour per session on average.